Gunston Commerce Center in Lorton has sold for $142 million. The business park, which includes nine buildings, is leased by the General Services Administration and government contractors. The park includes about 600,000 square feet of rentable area in nine buildings, with flexible designs to allow uses ranging from office and warehouse to research and development and retail. Avison Young marketed and sold the property. Overseeing the efforts were Kevill and Jim Kornick, both principals; along with Chip Ryan, principal; and Michael Murillo and Georgiana Condoiu, both vice presidents. NGP, formerly National Government Properties, purchased the property, according to the Washington Business Journal. It is one of the largest landlords to the federal government. 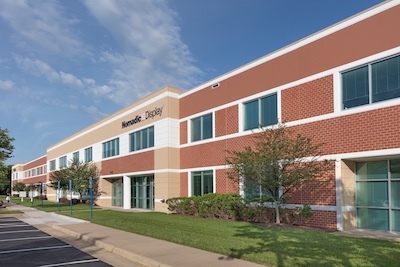 Each of the buildings is located on Richmond Highway or Furnace Road, just 6.5 miles from Fort Belvoir, 8 miles from the National Geospatial Intelligence Agency, and 18 miles from both Quantico and the Pentagon. It is also located close to Interstate 95 and is directly off of Route 1. In addition, it is close to Virginia Railway Express, with a shuttle service provided.